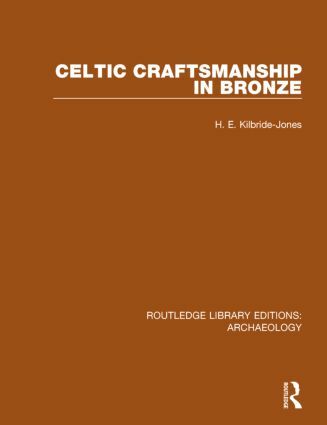 This book is primarily concerned with the craftsmanship of the Bronzesmiths of Britain and Ireland during the period from the beginning of the first century AD until the end of the seventh century. The period covered takes in a number of eras: the pre-Occupation era of the first century; the Romano-British period; and the so-called Dark Ages. What happened during these seven centuries is treated as a continuing story and only external events and political and religious thinking can have any effect on the forms which were fabricated. The Celts are known to have been expert metal workers and from the artistic point of view they are known to have been expert at designing bold eye-catching patterns. Yet the Celt had no art motifs which can be said to have been endemic to his world, but took over a number of classical patterns and by the exercise of his imagination produced motifs with a compelling personality which is at once seen to be thoroughly Celtic. The book is divided into four parts, each having its own historical introduction. Irish material is included in each period, since there were close links between the bronzesmiths of Britain and Ireland, and the art of one affected the other. Methods of manufacture are examined, as are the range of styles and the origins of forms and motifs, including isolating some as from certain localised workshops. Originally published in 1980.